COATS ALOE™ ANALGESIC is based on the same formulation as the COATS ALOE™ LOTION, but with the addition of a unique synergistic blend of methyl salicylate 10%, menthol, eucalyptus oil and aloe to provide you with deep, penetrating pain relief. Easy to apply. COATS ALOE™ ANALGESIC LINIMENT's topical analgesic and anti-inflammatory action can help relieve pain while improving range of motion and mobility of affected joints. 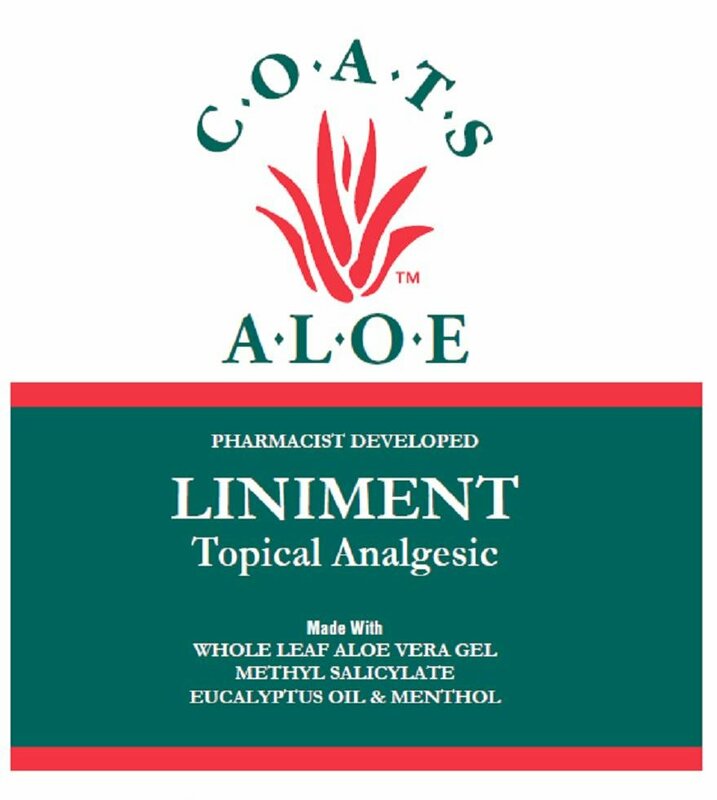 COATS ALOE™ ANALGESIC LINIMENT is available in 2 sizes.